It can be exciting to move into a new home or feel inspired to redecorate your current home, but where do you begin? 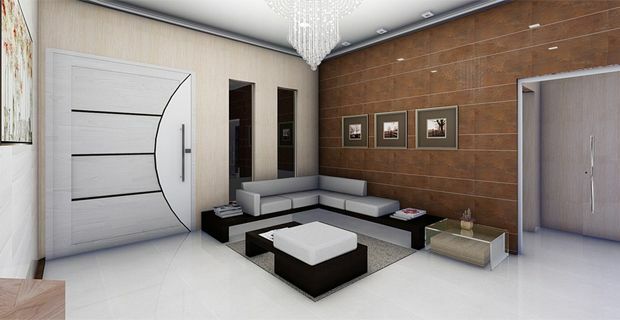 You not only have to decide on colours for the walls and furniture, but also themes, materials, and textures. 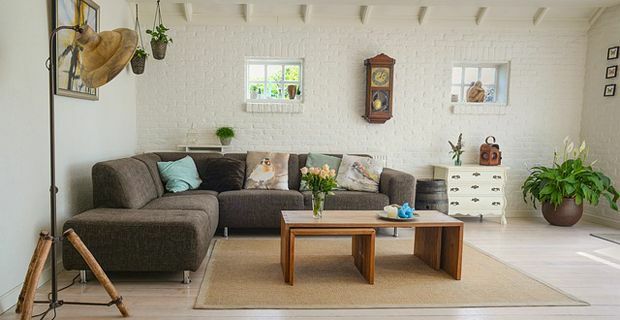 To help make all of these decisions easier for you, here are some of the latest European interior design trends that will get you started in the right direction. Just remember, everything must be in balance and compliment each other rather than be overwhelming and too dominant. There is something quite beautiful about incorporating pieces of vintage furniture in the home, which can lead to a harmonious balance between old and new. Unfortunately, some homes seem to take the vintage theme a bit too far and eventually end up turning their home into a time capsule. There should be a warm feeling in the space that pays homage to the past but doesn't literally feel that you have gone back in time. One way of making sure you find the balance is by creating one vintage piece as the focal point of the room and then compliment it with well-balanced modern design elements that may be vintage-inspired but give the room a contemporary and cohesive feel. Another important note is to make sure you are purchasing well-made antiques. While some pieces may look amazing to the naked eye, you will want a sturdy piece of furniture that is capable of dealing with daily wear and tear. Make sure it is heavy and durable, has sturdy joints and doesn’t show any signs of rust or discoloration. Traditional neutrals such as white, beige and brown, are an ideal starting point for those that aren’t quite sure which direction they want to go in regards to their colour scheme. Recently, the natural terracotta, grey, sage, woody tones, muted blues, and greens have also started to make an appearance in many modern homes and spaces. These have a lovely soft and calming feeling and, thankfully, never really go out of fashion and can easily support a wide variety of styles. If you want to be a bit more adventurous, why not add some foliage into the home. While houseplants are great and are increasing in popularity, especially in urban homes, the greenery is also starting to appear in wallpaper prints and fabric patterns. It can be a fun way to bring nature into the home. Similar to fashion, textures in interior designing come and go, but often eventually make a comeback. This appears to be the case with velvet at least. While leather still is popular due to the easy to clean material and modern look, velvet is making a comeback with its retro look and people are loving it. The rich tones and soft material are an ideal way to make a bolder statement and truly reinvent the unique space. Those who are drawn to metallic, specifically bronze, will be delighted to hear that London interior designer, Jo Hamilton, believes that bronze is making a huge comeback. Rather than having to stick to either being a gold or silver person, many homes are finding ways to compliment a range of various metallic tones in the same room. While the cooler tones, such as silver, nickel, and steel, give off a more modern feel, if they are combined appropriately with warmer tones, such as gold, rose gold, bronze, and brass, the room can be both modern and inviting. It is important though not to be too overwhelming with metallic. To keep things clean and modern looking, look into seeing what unique bronze sculptures places, such as art-bronze-sculptures.com, Europe’s largest sculpture and art dealer, have to offer. Then combine it with a clean piece, allowing the sculpture to stand out even more. If a sculpture seems like too large of a step to start off with, consider adding in the metallic tones through embroidered curtains, upholstery or even wall covering. Most importantly though, have fun and enjoy giving your home a fresh new look.